Back in 2015, Daphni compiled a 1000-track YouTube playlist as an intimate glimpse into the niche influences that define the Canadian-born and UK-based producer's musical identity. That chameleonic profile was brought to life and put on centre stage last night (August 23) with his six-hour extended set at Metropolis in Montreal, as part of Nocturne 2 in MUTEK's programming. The multi-hour set began shortly after sunset and shook the house until 3 a.m., and deftly demonstrated the Canadian producer's affinity for golden-era house and techno. With an Afrobeat undertow, Daphni's nostalgic big room rave anthems were muscular, eclectic and relentlessly danceable. Using a heavy amount of vocal samples to suture his transitions, Snaith took inspiration from classic Chicago and Detroit sounds for his arrangements, and finessed his classical training with complex beat matches that few selectors have the musical knowledge to execute. That said, these technical transitions sometimes cost audience members their grip on the groove, despite Daphni maintaining a firm hold on his. Although the set's curation was tremendously diverse and impressive, some of the more technical transitions were too teased out, and became inaccessible. While it seemed as though the intention was to draw out the punctual drop that the audience was anticipating, it felt more like an overthought attempt at crowd control. 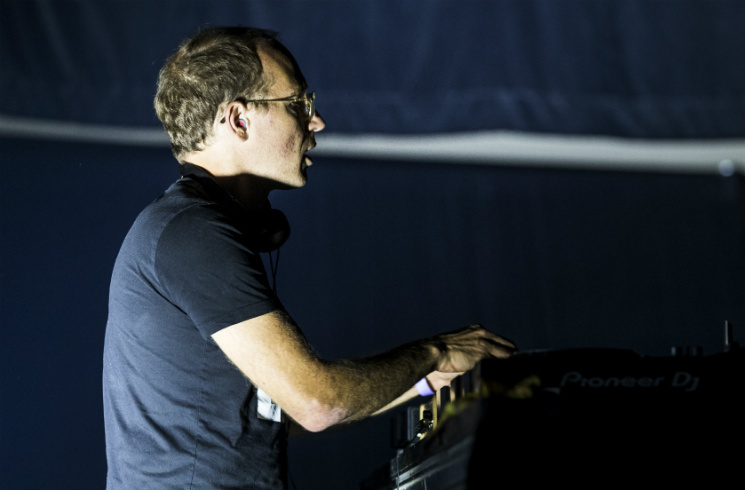 Nevertheless, Daphni was engaged with the crowd and incredibly aware of what it would take to reel them in, punctually dropping crowd-pleasing gospel stompers like Karizma's "Work It Out" to have everyone immediately back on their shuffle. Between '90s rave nostalgia, the strobe lights that made the room look like stop motion and making necessary time for the percolator, Daphni's extended set was a testament to his standing as a mainstay in the Canadian electronic music landscape.